After testing a number of radiators, I thought sharing some thoughts on what to look for in buying a PC radiator would be in order. In most cases with water cooling¹, this translates to using a radiator with its larger surface area to dissipate heat using cooler ambient air. 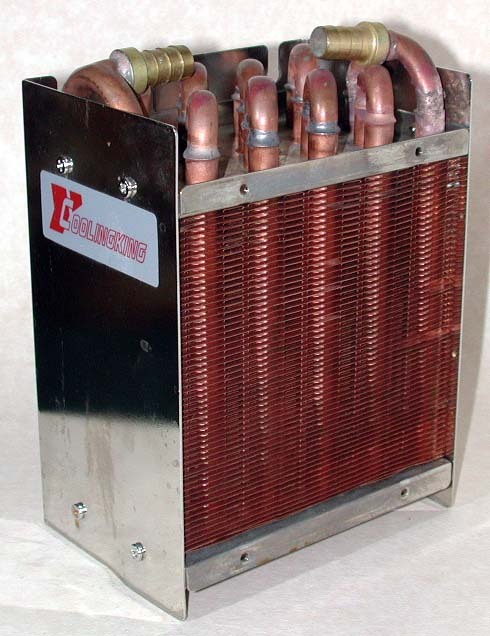 The radiator’s fins increase the cooling surface area so that the amount of air required to cool can be achieved with either passive or active (ie fan) cooling. And as we all know by now, an additional factor is waterflow through the radiator – the higher, the better. The second factor to then consider is the radiator’s pressure drop – the lower, the better. Considering these factors, my own personal preference would be for a flat tube plenum radiator cooled by two 120 mm fans. The immediate problem is that this usually requires case mods to make it fit, unless it’s used externally (not my preference). 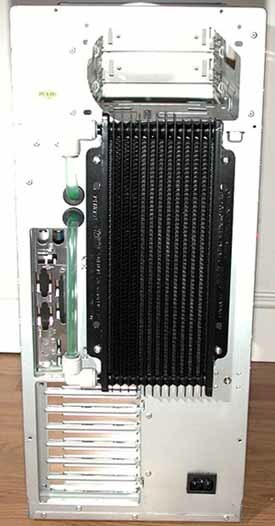 There is a possible alternative, and that would be to use two smaller radiators each cooled by a 120 mm fan, one at the case’s front and one at the rear. The tubing runs become more complex, as it’s more efficient to hook them up in parallel rather than series. An additional variant could be the two pump solution – one for the radiators and one for the waterblocks. This would require the use of a reservoir with two sets on in/out ports – one for the radiator pump, one for the waterblock pump. I’ve found this to work quite well. There are any number of ways to set up watercooling systems; however, the basics suggest that the most effective in-case radiator solution will have a large actively cooled surface area, thin profile and low water pressure drop. ¹ I say in most cases because you could use a five gallon container of water to do the job.